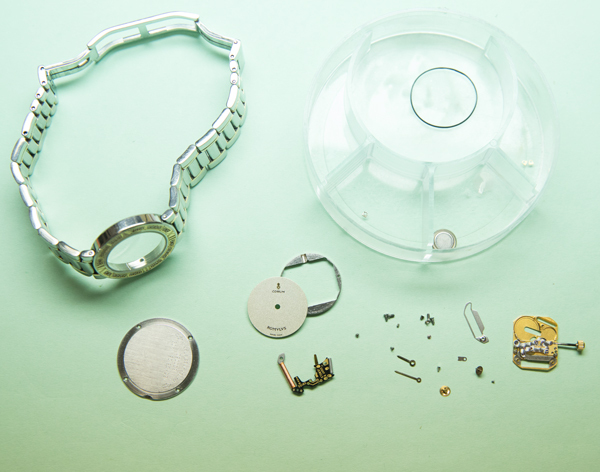 When you need Miami watch repair, there is only one reputable destination for your treasured time wear. Gray & Sons Jewelers is the most respected independent Watch Repair and Service Center in Miami, Florida. Serving local, national and international clients since 1980, we are one of the most trusted names in the industry for repair of luxury time wear to restore it to its original state. 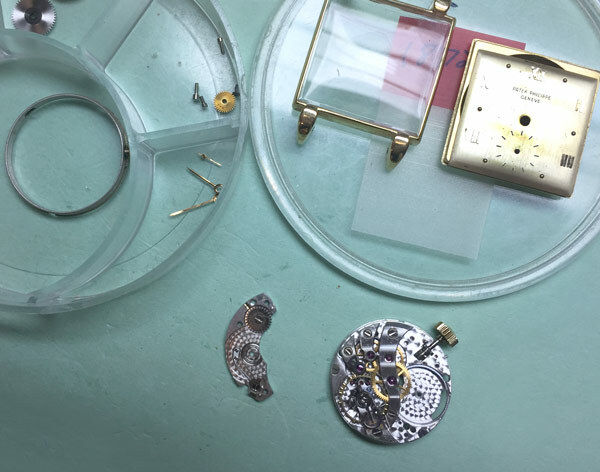 We take our watch repair department seriously, because we know how much our clients love their watches, especially vintage models, so we go the extra mile to make sure everything is done with precision and love. The process is one of several steps to ensure the best results. 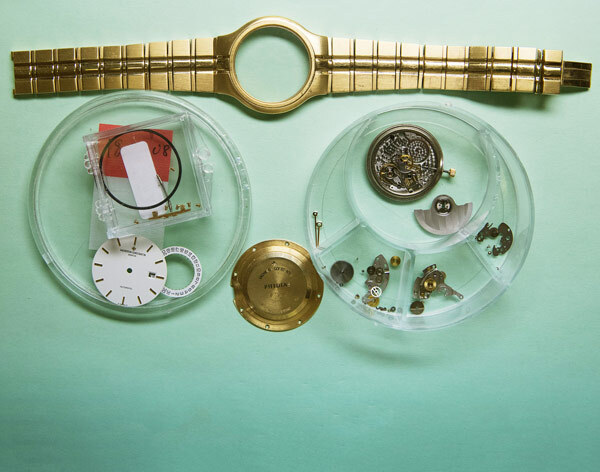 Our in-house workshop manager inspects each watch that comes in and consults with our Swiss-trained watchmakers to provide a properly detailed estimate of services. Watches may be photographed during the repair process and sent to our clients. Notes are documented in a repair report card to keep track of the actions and results. 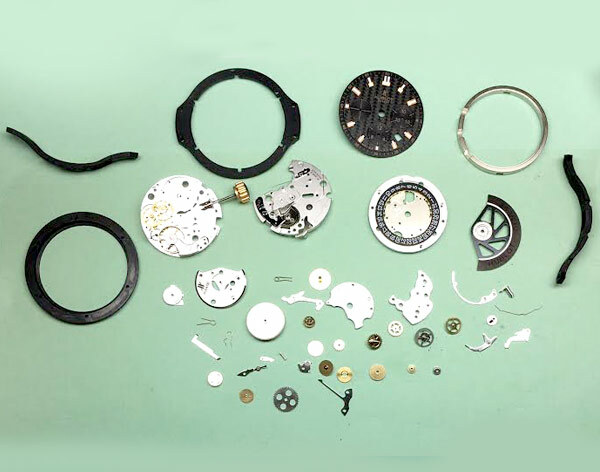 With a multitude of steps involved and over a century of combined expertise, our highly skilled team can handle any watch repair job; from minor repairs and basic maintenance to strap and battery replacements to bracelet restorations and even complete overhauls. 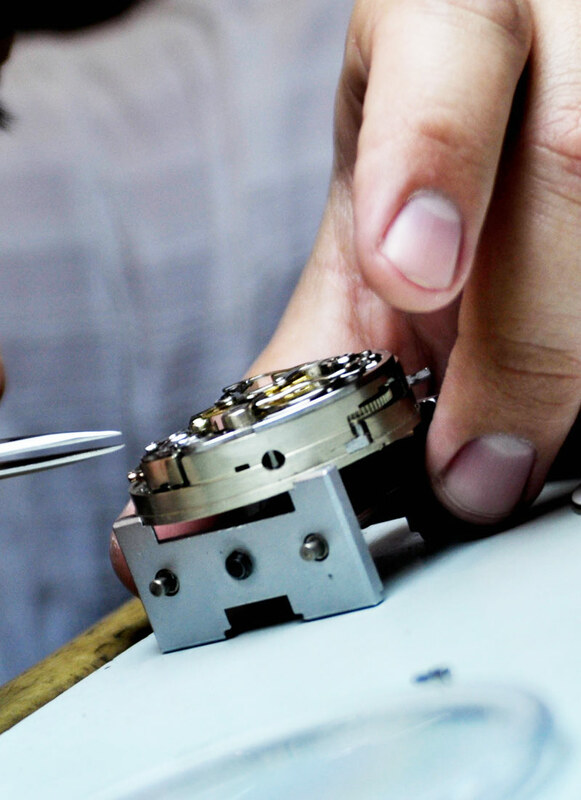 We specialize in Split-Seconds Chronograph, Perpetual Calendars, and Tourbillons with our Miami watch repair services. 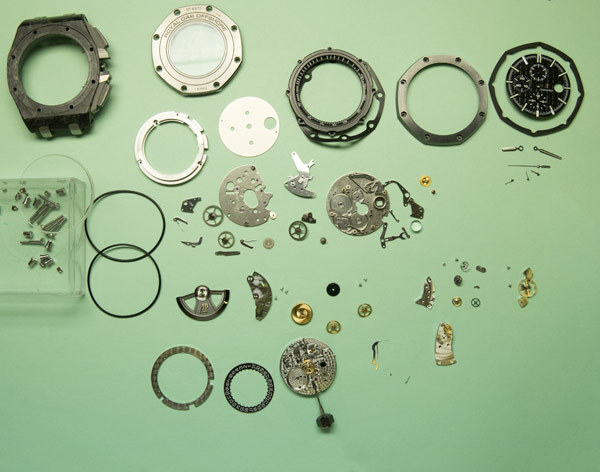 Every watch is completely disassembled and put through a cleaning machine in three different solutions to wash away all the dirt and old oils. 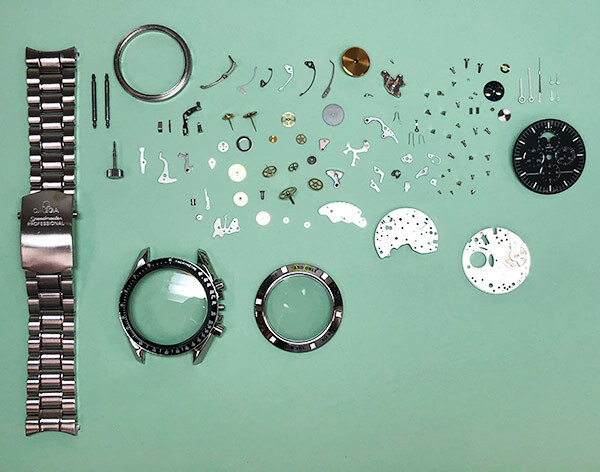 We then re-assemble your watch piece-by-piece, wheel-by-wheel, screw-by-screw, and apply four different synthetic oils to get the watch running friction free in six different positions. Some watch repair shops just take shortcuts once they have your money but that's not what you're going to see from our team. View our watch repair videos on our YouTube channel by searching for “Gray and Sons” or visit our repair shop in our Miami Beach showroom. With our services, there is no other choice for Miami jewelry repair. 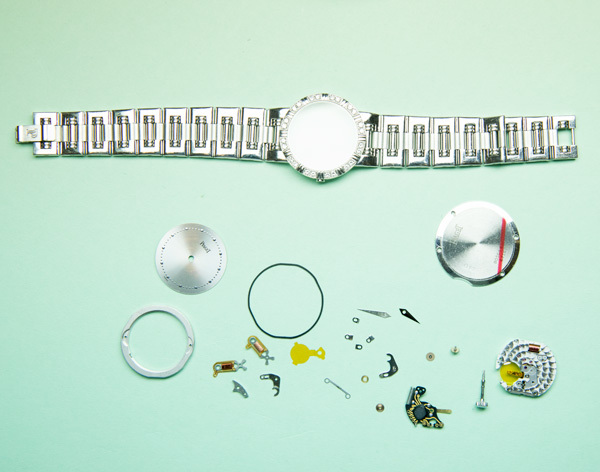 We repair Rolex, Cartier, Patek Philippe, Piaget, Omega, Breitling, Jaeger-LeCoultre, and more. 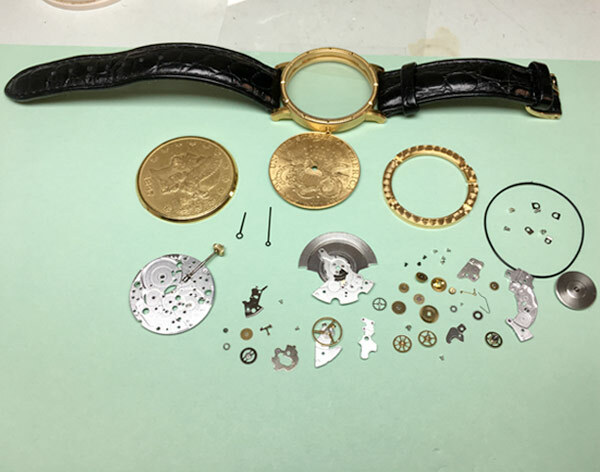 Click to view images of our watch repair and maintenance process. "I received my watch today and it looks amazing. It functions perfectly, and the results exceeded my expectations. I will certainly refer to you anyone looking to repair or purchase a fine watch. My watch is now 43 years old and looks nearly new. Please extend my thanks to everyone on your staff that was involved in the overhaul of my watch. Your customer service was also excellent, and you did everything you promised. In today's world, it is very important to have trustworthy sources for needed services." OVER 150 YEARS OF COMBINED WATCHMAKING AND JEWELRY/CASE AND BRACELET REPAIR EXPERIENCE! 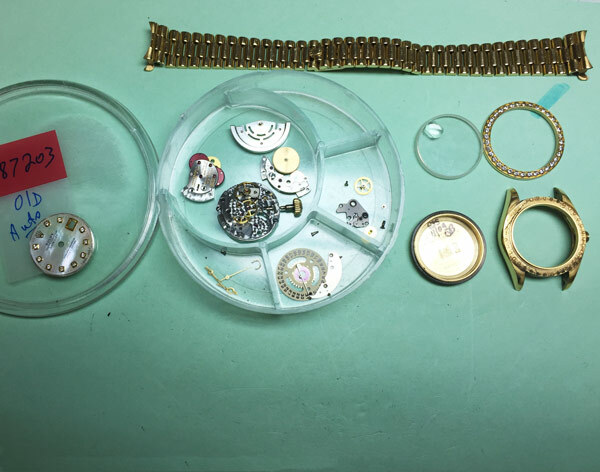 We offer our watch repair services locally in South Florida (Miami, Miami Beach, Surfside, Bal Harbour, Fort Lauderdale, and West Palm Beach), nationally as well as internationally with our Easy Ship Box Option. Come visit our showroom and let us evaluate your watch. Our Swiss-trained watchmakers are among the best in the United States and we just happen to be located on Miami Beach. We will provide you an estimate before beginning any work. To accommodate customers across the United States who complete repairs with us, we devised the Easy Ship Box as the fastest and most convenient way to send sensitive luxury items. This allows you to receive our state of the art services anywhere in the country, so you never compromise on the care your watch rightfully deserves. The watch case and bracelet are then polished using a series of polishing wheels. First, the back of the bracelet and the clasp are polished with a satin finish. Then, we use the black rouge polishing wheel to remove deep scratches, followed by the red rouge for a final high polish and the last satin finish build up. 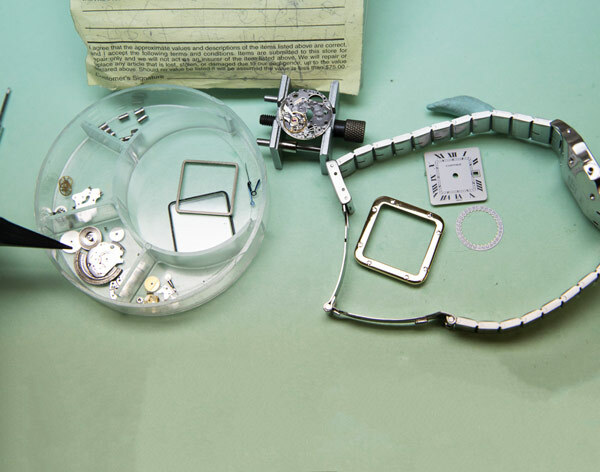 We submerge the Rolex, Patek Philippe, Cartier, and Breitling watch bracelet and the case in the UltraSonic solution to remove general build up. Then we proceed by steam cleaning the watch pieces making sure we remove any buildup left in between the links or hard to clean places. This step is crucial in getting the piece to really excel in its true beauty. We lay the pieces down to dry before we move on to reassembling. 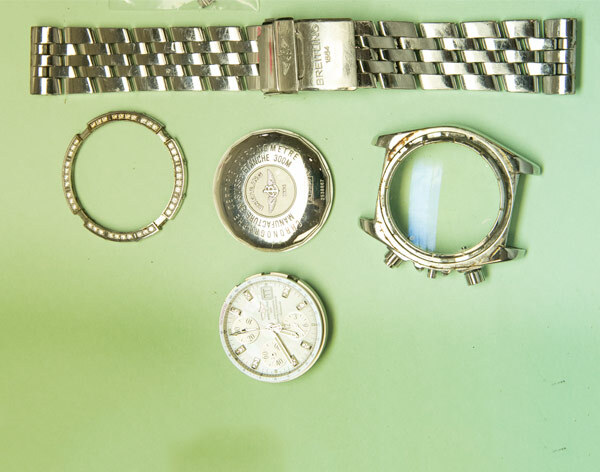 We expertly repair and restore the following luxury watch brands: Also Swiss Watch Case and Bracelet Repair, Polishing, and Replacement!